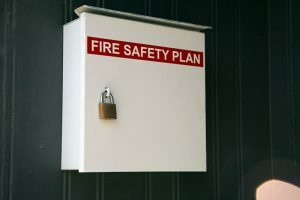 It is essential to update your fire protection plan throughout the years. Fire safety is essential. This is especially true when it comes to business owners looking to protect their businesses and their employees. While every business owner hopes that they avoid ever having to deal with a fire, the reality is that it can happen at any time. As a result, having the proper plan in place is necessary. In fact, being prepared for the worst is crucial when you are a business owner and responsible for all your employees. It’s important to plan ahead when it comes to a fire emergency situation. In fact, there is a lot that goes into planning a proper evacuation plan, especially for businesses. First of all, you’ll want to write everything down before it gets to be too burdensome. Writing things down makes it easier to let everyone know what exactly the plan is which allows all occupants and employees of your business to know where to go and what to do without any confusion. As a result, when you start writing down the evacuation plan, it’s the perfect time to map out and design the evacuation diagram of the entire building. From the interior to the exterior, it is important that you keep your evacuation plan in place and remind all employees of what to do on a regular basis. Every single team member should feel prepared for any fire emergency. In fact, providing training tools and fire drills are a great way to help employees learn the best ways to be prepared in a fire emergency. This is specifically appropriate for any fire extinguisher training. Since many people are unsure how to properly use a fire extinguisher, it’s important to train all employees in the practice to be prepared for a fire emergency situation. This entry was posted on Friday, August 17th, 2018 at 3:05 pm. Both comments and pings are currently closed.